A top-down shooter that prioritizes the high difficulty. With a variety of clever weapons and enemies, Legend Of Monsters is an ideal game for players looking for quick and challenging fun without taking too much out of pocket. Mostly Positive (84) - 77% of the 84 user reviews for this game are positive. Today I want to show a small GIF with some of the gameplay of Space War: Infinity. 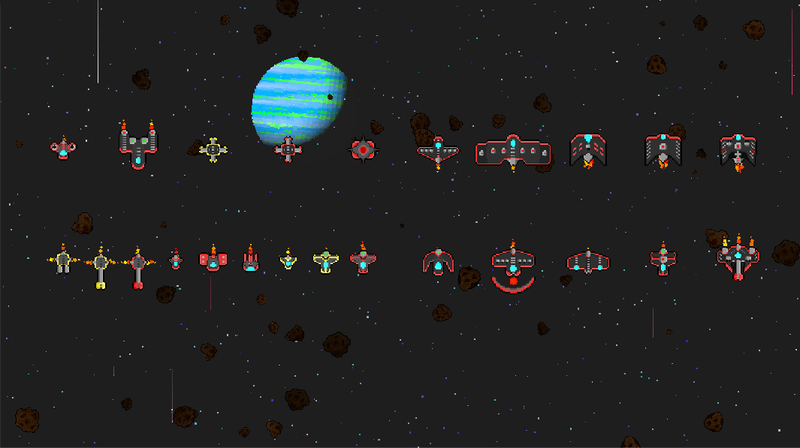 In GIF it is possible to see the system of upgrades of the ship and the unlocking of items according to the level of the player. The game will be released in the coming months. Today, I want to show some of the enemies of the Space War: Inifinity game. The game will feature a good range of enemies, bosses and scenarios. Space War: Inifinity, it will be an arcade continuous game where your goal will be to unlock all the achievements, which will be several, defeat all the bosses that will appear on the way and make the highest score and get 1st place in the rank. Space War: Infinity will be the 2nd game of my series of arcade games and can be released in the coming months. You control Alex who will try to save your Sister from the clutches of Dark Bit in the underworld of a video game. Alex will have to face monsters and traps, go through dangerous caves and forests, castles and dungeons before saving Ana. The only help Alex will have on this journey will come from a mysterious gun smuggler who has participated in other zombie games, this being mysterious will give Alex a shotgun and will offer the products of his store so that Alex can prepare to face the Dark Bit. • You must eliminate all monsters from each area so that you can proceed to the next one. • All phases are generated randomly, bringing a different experience to each move. • Try to reach as many points as possible in the game's arcade mode. • Get coins by killing monsters and breaking things so you can buy new weapons. • 11 different weapons, each with its advantages and disadvantages. Beautiful and challenging: Perfect combination of retro art pixel with a frantic and challenging environment full of insane battles. Varieties of weapons and enemy: several types of weapons with advantages and disadvantages for each occasion and an army of intelligent and prepared enemies for combat. It will never be the same: All phases of the game are generated randomly. Leaving the game different for everyone. Arcade Mode: Have fun in random phases. Compatibility with controls: Game compatible with Xbox controls, Playstation and Generic Controls.